Vendors showed many wearable devices at the International CES expo, but the next big thing may just come from an enthusiast's garage. To find the next wearable hit, companies are turning to the community of individual tech makers, who have been hacking circuit boards for decades to make technology accessible. New development kits introduced at CES will give do-it-yourselfers the tools to develop and experiment with new types of wearable devices. Intel and Freescale introduced mini-computers that the companies hope will lead to the creation of wearable devices beyond the array of smartwatches, smart glasses and fitness trackers that flooded the CES floor. The new computers are more like pint-sized versions of the popular US$25 Raspberry Pi computer, which has sold more than 2 million units. It's difficult to build all the cool wearable devices in a lab, and makers, fashion designers and others will make a big contribution, said Mike Bell, vice president and general manager of the New Devices Group at Intel. "We have some ideas, but we're not arrogant to say we have it all," Bell said. The wearable device computing kits have wireless connectivity to transmit information, and have hardware to collect location, device orientation and sensory information. Many of the wearable devices demonstrated at CES worked in conjunction with other connected devices. 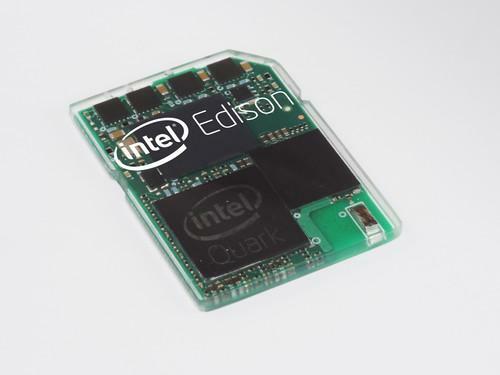 Intel introduced Edison, a mini-computer the size of an SD card that can be used in wearable devices. Edison is Intel's smallest computer yet, and is intended for small, flexible electronics that can be worn around the body. During an on-stage demonstration, an Edison chip in a baby's garment monitored the child's temperature, pulse and breathing. When a toy turtle with Edison was attached to the garment, it could send the baby's vitals to a smart mug, which flashed lights to tell parents that the child needed attention. Also shown was a smart milk bottle warmer that began warming milk when it detected that the baby was crying. The Edison, which will ship around the middle of this year, has an extremely low-power Quark chip based on the Pentium instruction set architecture. It has Bluetooth, Wi-Fi, runs a version of Linux and can be easily reprogrammed to adapt to different types of wearable use. While Intel's Edison is barebones, Freescale's dime-sized Warp is an uncased computer that is richer on features that could be useful with larger wearable devices like health monitors. Wearable devices can be developed and tested on Warp before release, said Robert Thompson, director of consumer business development for microcontrollers at Freescale. "It addresses key challenges seen by wearable device manufacturers related to connectivity, battery life, miniaturization and usability," Thompson said. With the help of expansion boards, the Warp can be used for continuous heart-rate monitoring or an ECG (electrocardiogram). It's also meant for augmented reality, fitness trackers, smartwatches and a range of wearable products. What differentiates Warp from Edison is the wide feature set. Warp supports Bluetooth and 802.11 Wi-Fi and has LCD and E-ink display interfaces. It also has a USB host, power management features, accelerometers and magnetometers. It runs on a Freescale single-core i.MX 6SoloLite processor based on the ARM Cortex-A9 processor core design. 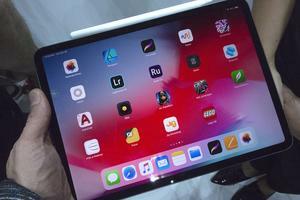 The $149 Warp, which will ship later this year, is also open-source hardware, meaning the company will publish the computer's schematics so others can replicate the design. Hackers will be able to work collaboratively with others to improve the computer. Both Intel and Freescale are chasing the emerging wearable market with the hope to ultimately sell millions of chips. Intel knows it'll need the help from the maker community, and has appointed a "Maker Czar" whose "sole job is to work with hobbyists," Bell said. Intel wants to start early, and set a tone on how wearable devices are developed before the market fragments with different technologies powering devices. 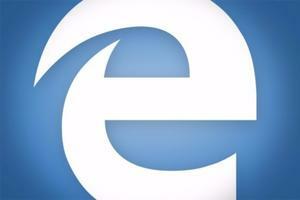 "This isn't a fad for us," Bell said. "If we get ahead of the curve we can define some standards."